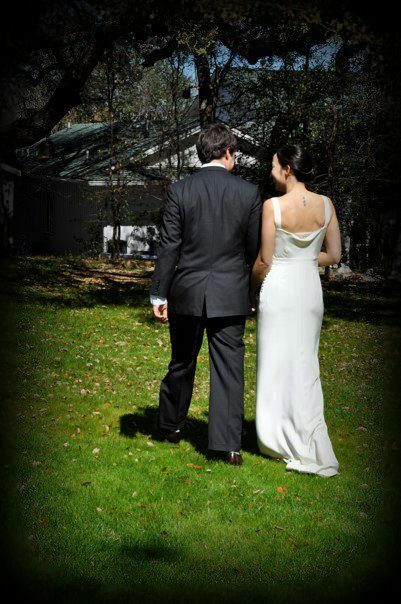 I was honored to be the day-of coordinator for our friends’ Sunday brunch wedding at the beginning of March. 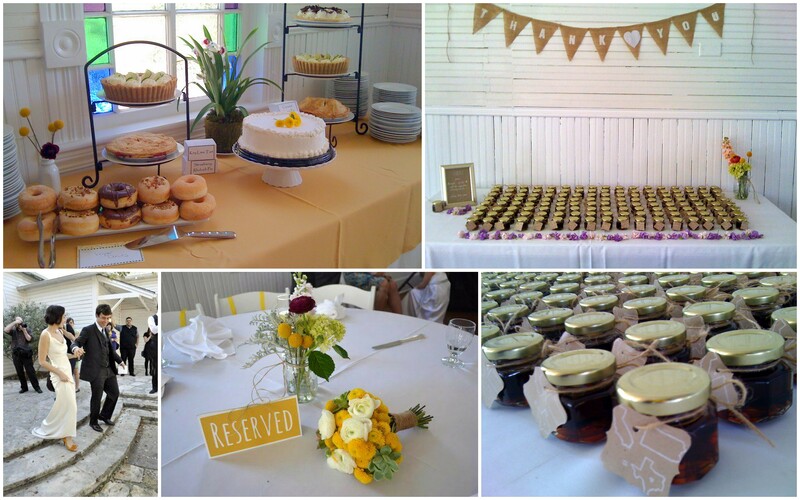 Their wedding theme was a mix of classic, rustic, and simple with mustard yellow, white, and natural brown as their colors. Before the wedding, I met with the happy, easygoing couple twice to discuss planning/assignments/timeline; managed the final walk-through; and helped with the ceremony rehearsal. For the day-of, I made the bride, groom, and reserved signs; managed the setup and cleanup; and ensured the schedule and activities were moving along smoothly. 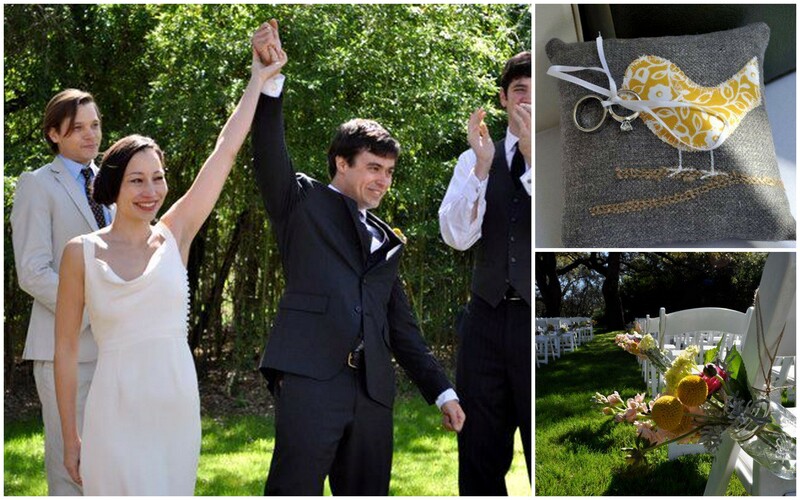 It also helped that everyone—guests, bride, groom, vendors—was in a relaxed but joyous state. The wedding took place at the lovely Mercury Hall in south Austin, was catered by Kerbey Lane, and photographed by She-N-He Photography and Design—all great vendors to work with. The yummy tres leches cake was from Sao Paulo’s and the pies from Quack’s Bakery. Pollen Floral Art arranged the beautiful bouquets and boutonnieres while the wedding party DIYed the mason jar centerpieces. Eric and Marlene designed their own save-the-dates/invitations/website and even poured the maple syrup themselves for the wedding favors. This entry was posted in Decorations, Weddings and tagged Brunch Wedding, burlap, DOC, maple syrup favors, Mercury Hall. Bookmark the permalink. You were so sweet, professional, creative, and absolutely lovely to work with!!! Thank you do much for everything!! Thanks Marlene! It was a lot of fun too!